Henge's message of love & rave was well and truly received. If you had entered The Joiners last night, unaware of who was playing, you may have thought you had been abducted and transported to another planet. With Grok, the transfigured human on synth; Goo, a Venusian, as bassist; Nom, a sort-of frog man, on drums; and finally, the band’s lead singer & guitarist, Zpor, donning robes, a staff and a headpiece which looked like it had been made by Jimmy Neutron. Henge had touched down in Southampton! “Greetings humans, you are highly evolved beings,” were Zpor’s first words to the crowd. 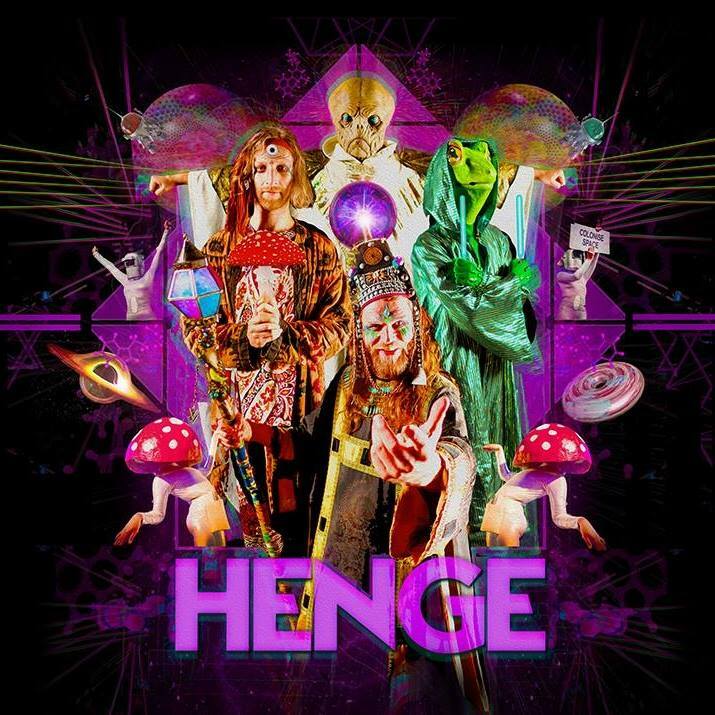 I would argue that Henge are highly evolved musicians, being able to perform so energetically, without any error, all whilst wearing their elaborate costu-… um… I mean, native apparel. The set lasted for about an hour and a half, a long set for a band with only one album and one EP released. However, this was unsurprising as most songs lasted more than 5 minutes with complex changes in tempo and a progressive structure to many tracks. A shout-out to Goo, the Venusian bass “controller”, who touched many of the crowd with a song ‘Venusian Apocalypse’, performed in his native tongue and dedicated to those lost in the extinction of his kind. This was one of several sci-fi based back stories, told by Zpor, which accompanied the band’s musical performance. Henge’s message of love & rave was well and truly received despite the venue being less than half full. A chorus of voices sang loudly back to the band on stage, demanding “demilitirisation” and “the means to unite”. It was a very novel and euphoric end to the set as the band began to exit the stage to this sea of voices. They remained within the crowd, integrating and conversing with the humans. The support act, Shunya, was also a brilliant and appropriate warm-up act. Despite a sparse crowd, he managed to draw people in with his unique sound and looped dance beats. I would highly recommend checking him out. Keep an eye out for Henge this festival season, and check out their music video for ‘Demilitarise’ below.